I bought this the other day, I hadn't realised it was still £14.99 everywhere else until walking in HMV yesterday. Watch your purchases straight away on up to four compatible devices and if you're a Sky subscriber you can send your Buy & Keep purchases to a compatible Sky box. 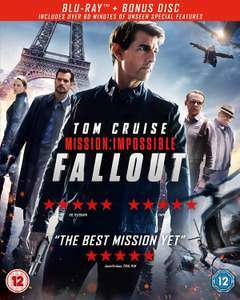 When a mission goes wrong Tom Cruise and his IMF team find themselves in a race against time. Spy thriller co-starring Henry Cavill. I don't think this is such a bad deal... But note that when the blu ray does turn up it is not the standard retail version and says not for resale on it. Saw this film last weekend after it was heavy recommended by my Bro in law. So many cold votes, yet no one has actually provided a link to a cheaper offer. I don't think this is such a bad deal... But note that when the blu ray …I don't think this is such a bad deal... But note that when the blu ray does turn up it is not the standard retail version and says not for resale on it. I've bought a few from Sky, I've only ever received the standard retail version. Definitely never had anything that says not for resale on it. Rent it on Amazon for £1.49. Watched it last night. Quite good. I've idea either, no one has come up with a link to a better price. So it one of the following. 3. They don't see the point of physical media. 4.They heard someone say, that it will be cheaper elsewhere, probably in 5 months. 5. They don't pay for films and download them for free. 6. They don't like the film series, or a member of cast, or maybe the janitor on the set. 7. The HUKD Sheep Sydrome, they saw other people vote cold so that makes it cold. I've idea either, no one has come up with a link to a better price.So it …I've idea either, no one has come up with a link to a better price.So it one of the following.1. They hate Sky.2. They hate me.3. They don't see the point of physical media.4.They heard someone say, that it will be cheaper elsewhere, probably in 5 months.5. They don't pay for films and download them for free. 6. They don't like the film series, or a member of cast, or maybe the janitor on the set.7. The HUKD Sheep Sydrome, they saw other people vote cold so that makes it cold. Oh and the blu ray is 4 quid cash and 6 quid voucher in cex. 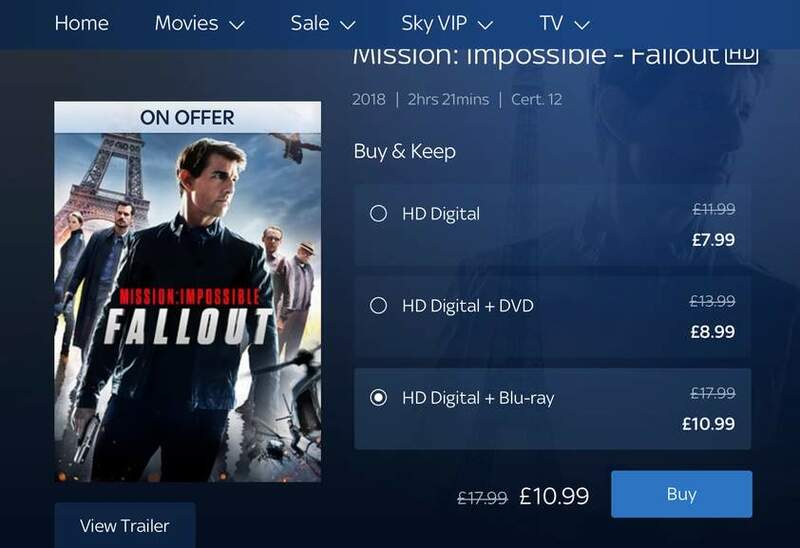 So that means you get the hd digital on sky for 6.99 or 4.99.